First, a quick word about what I mean by “interpretation.” Costumed Historical Interpretation is a term that is used at Fort Edmonton Park and some other historical sites to refer to what it is the people in historical costume do at these living history museums. As opposed to popular conceptions of historical “re-enactment”, interpreters do not present or represent themselves as carbon copies of past events. They strive towards historical accuracy, but they acknowledge that everything they do is an interpretation of the past. Hence, “interpreter”, not “re-enactor”. The terms have different philosophies at their terminological roots, though both may draw from common theories and techniques. 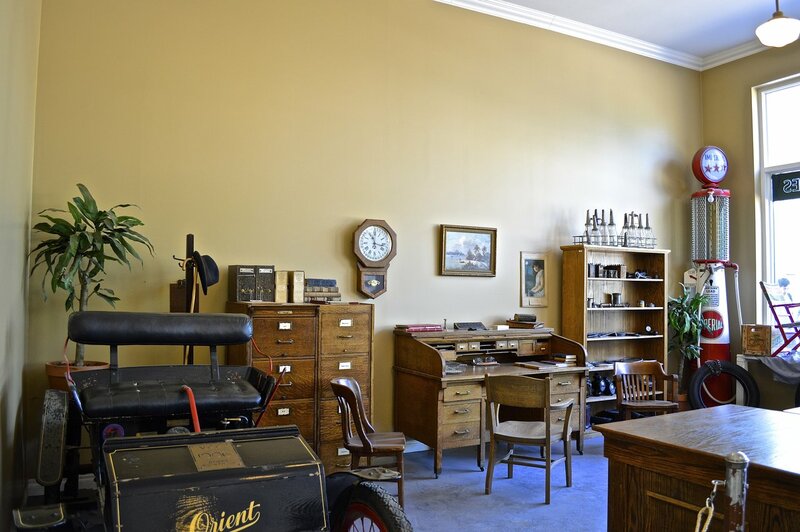 The goal of historical interpretation is to educate the visitor about a certain time period and its people in ways that can’t be achieved through books or traditional static museum displays. There are several different types of historical interpretation, and each has its own advantages and drawbacks. The system that I learned uses the grammatical terms “first”, “second”, and “third” person – i.e., think “I”/”we” for first, “you” for second, and “he”/”he”/”they” for third. 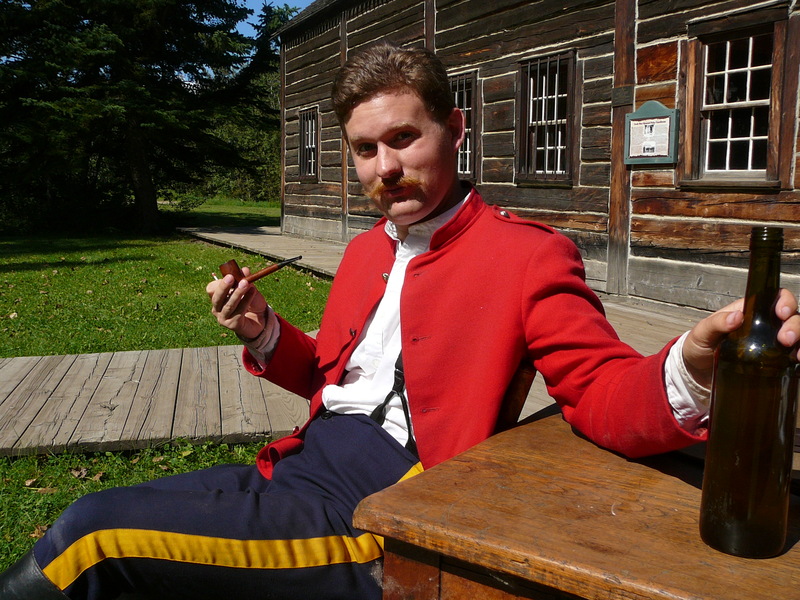 Interpreting a North West Mounted Police Officer on 1885 street at Fort Edmonton Park, from the Mountie Strike Program in 2012. Photograph by Lauren Markewicz. First person interpretation is probably one of the most well known and expected. In essence, the interpreter projects the persona of a historical figure or character, speaking as if they were that person in that time period: e.g., a blacksmith, a tennant farmer, Sir John A. MacDonald, Louise Umfreville, Father Lacombe, etc. 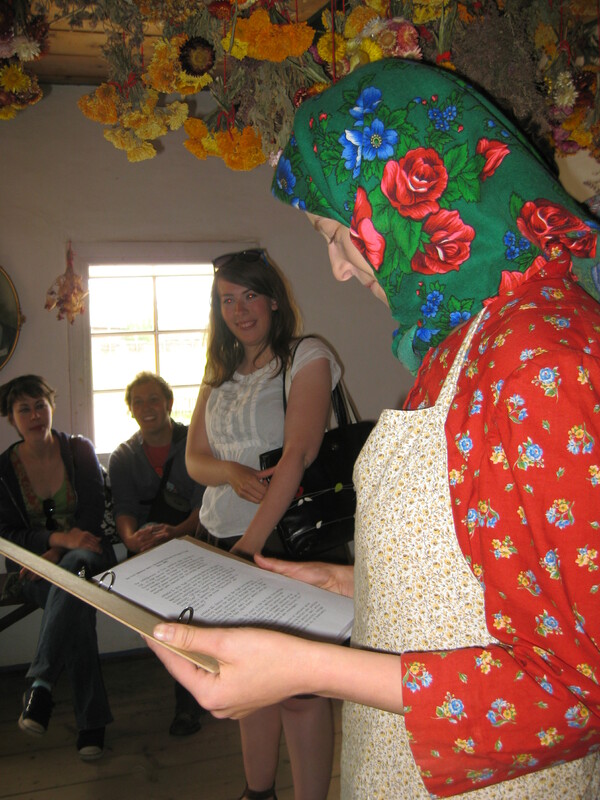 Some historical parks, such as the Ukrainian Cultural Heritage Village outside of Edmonton, do not allow their interpreters to break character in front of visitors except under very specific circumstances, which I think are limited things such as first aid emergencies and interpretation within a consecrated church. For most intents and purposes, they try to react as if they are indeed Ukrainian immigrants from the early twentieth century. If anachronisms are pointed out to an interpreter operating in strict first person – e.g., a visitor commenting upon an airplane flying overhead to someone acting as if they live in 1860 – the interpreter may insist that it’s a bird, dismissing things that don’t fit into the 1860s worldview. Visitors can get some pretty nifty responses this way. Interpreters don’t have to pretend not to understand anachronistic things that visitors tell them but can use it as an opportunity to practice their wit and verbal gymnastics. “Oh, are you new in town? When did you arrive? Was it a long journey?” Based on the visitor’s period-appropriate response, they can then have a conversation as if both individuals existed in the same historical time period, discussing (or commiserating on) the hardships of immigrating to Western Canada or other topics. The goal of interpretation, after all, isn’t just to be entertaining, but to be educational and informative. Visitors don’t have to be history majors to interact in this way with interpreters. Even a “wrong” answer – guessing that they would arrive by train or automobile before they were invented or reached that region of the country, or indicating the wrong length or route of the journey – gives the interpreter the opportunity to express surprise and explain that they thought that the roads were too rough to allow for motorcars to come to town, or express hope that a proper highway or railroad will soon be built. 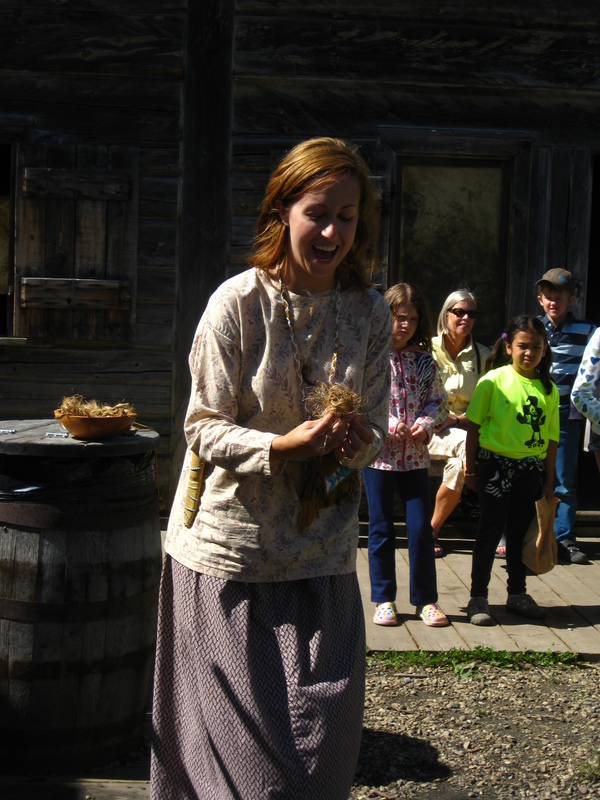 The visitor doing second person interpretation does not have to provide historically accurate responses for the skilled costumed interpreter to “play ball”. 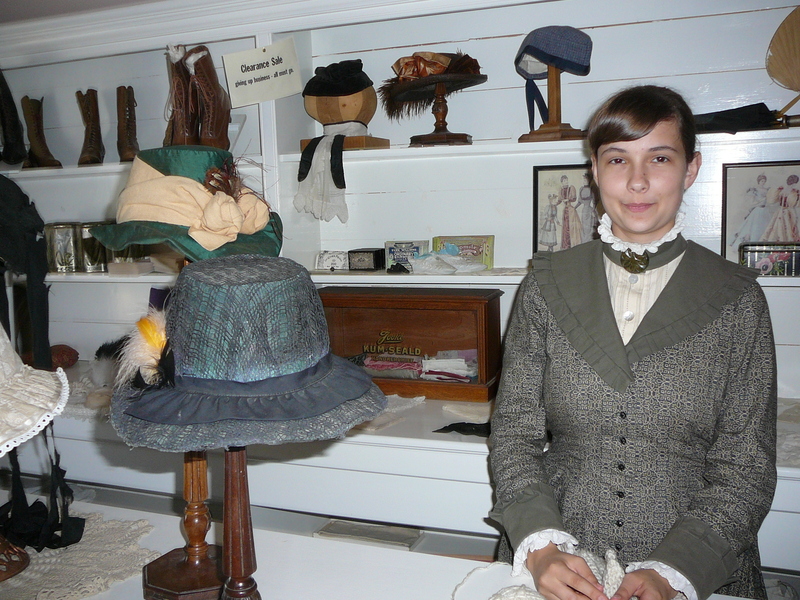 Acting as a customer in a store, in this case at the milliner’s, is a common example of visitors engaged in second person interpretation. 1885 Street, Fort Edmonton Park, summer 2012. Photograph by Lauren Markewicz. Now, of course, first person interpretation can be problematic. For instance, an historical interpreter cannot wholly adopt the views of the past and react to visitors accordingly. I have seen some interpreters berate young female visitors for being immodestly dressed, which can embarrass them rather than teach them something valuable. Furthermore, how does one address issues of racism or other distressing topics such as eugenics while being incapable of breaking character? How do you explain that such negative views existed without coming across as being a supporter of them? Some visitors also like to force interpreters to break character. They may see it as a game, but it can come across as a power trip when they try to trick or force the costumed expert to acknowledge that they are a twenty-first century actor through the visitor’s “superior” knowledge of the past. Often, if first person interpretation is not done well, every interaction with a visitor can end up being a confrontation of some kind. (More on how to avoid this in an upcoming post: Challenging Visitors and Challenging Visitor Expectations.) How would someone who was really from 1880 react to an immodestly dressed set of strangers barging into their farm house and interrogating them about their livestock and insisting upon eating some of their food? Successfully demonstrating how to make fire with flint and steel at Fort Edmonton, summer 2011. Photograph by Lauren Markewicz. In third person interpretation, the interpreter openly acknowledges that they are a contemporary of the visitor, simply one in historical dress. Some interpreters operate exclusively in third person. This means that they never attempt to be in-character and fully acknowledge their role as a modern museum or park guide; the costume is treated no differently from an employee uniform in that case. For example, in the above picture, the interpreter is performing a fire starting demonstrating with flint and steel. As she prepared the kindling she narrated what she was doing and explained the history of matches (which existed in the 1840s in different form and were completely unreliable and unhealthy compared to flint and steel), when and why one would light fires within a fur trading fort, and perhaps even when flints fell out of use and other topics related to fire starting. Lighting a fire for no practical purpose and putting it out right afterwards in the middle of the courtyard in front of an audience is not something that a Métis country wife would do in 1846, but this a demonstration of a historical skill that is made all the more interesting and education from situating it verbally in a wider historical context. The main advantage of third person interpretation is that it can provide much needed perspective. Interpreters can feel free to broach numerous topics without their hands being tied by the need to remain in-character. This interpretive style allows the interpreter to comment upon the park as a museum, explaining which houses or artifacts may be original and where they came from, or what happened to the people who originally lived or worked in that building, and so on, which visitors are often keen to know. A friend and classmate portrays a pregnant prisoner in the Goderich Gaol in Huron County, Ontario, and one of her most popular questions is: “What happened to your baby?” Without third person interpretation, the visitor leaves with that question unanswered, unless the interpreter, in first person, speculates what could happen with a wink and a nod. In third person, I could speak at length with visitors about changing perceptions of fur trade “country marriages” from the 1700s through to the late 1800s based on recent scholarship and a twenty-first century perspective. This breadth and understanding cannot be achieved if I were genuinely trying to remain in-character as a young illiterate Métis country wife who had never left Fort Edmonton. That is one of the main advantages of third person interpretation: perspective. If a visitor is intensely interested in the subject, remaining in first person – in-character – can be very limiting, particularly if the visitor wants to know “the end of the story.” Did this person get out of their current troubles? How did they die? 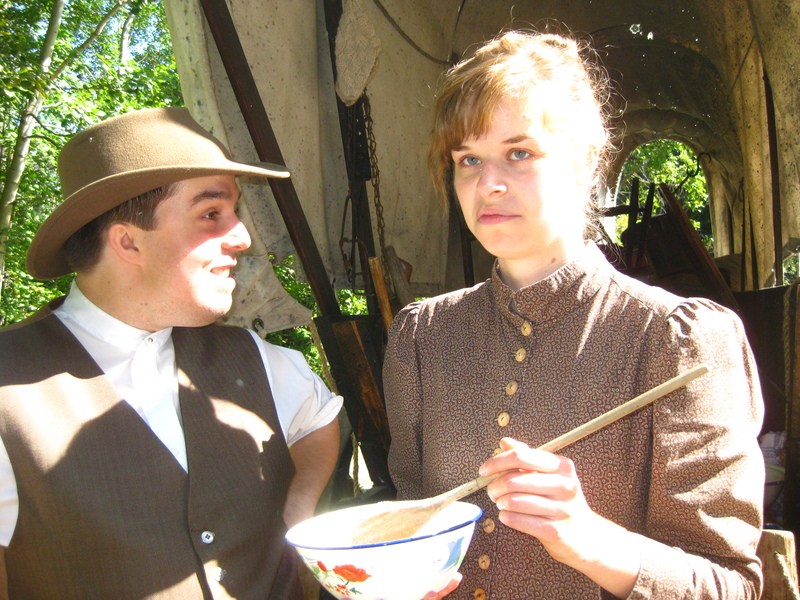 Many Fort Edmonton Park employees use what is termed Loose First Person Interpretation. They often begin speaking with a visitor in first person, but are not afraid to break we call their “historical bubble” by stepping out of character and acknowledging that they are in fact a person from the twenty-first century, in costume, who has done historical research, and elaborating on their previous points. They do this so that they can discuss concepts that, say, an illiterate Métis country wife or a soldier just returning from the battlefields of Europe in 1919 could not possibly know. 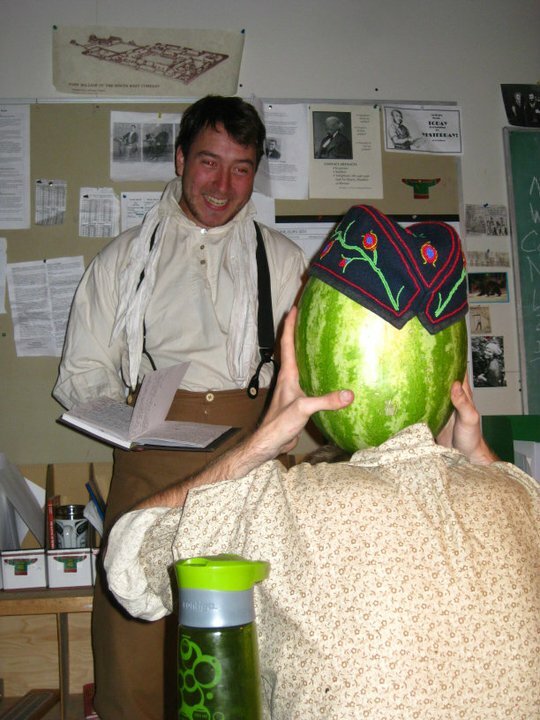 Think, for example, of the interpreter dressed as a returning soldier, discussing their experience in Europe during the Great War, reacting to a question from a visitor: “What’s the Great War?” The interpreter can then feel free to stop and explain that the First World War wasn’t termed as such until the Second World War had occurred. (Before the 1940s, it was the Great War: the biggest war anyone had ever seen. When you referred to the “war” in 1920 everyone knew which one you were talking about. It was only after the second had occurred that you could refer to the first one as the first.) Switching to third person can help the visitor get a fuller picture. Loose first person has its own set of challenges. It is often quite difficult to then switch back to first person once the interpreter has broken character. Furthermore, many visitors expect a person in costume to remain in character at all times and would rather get that than further historical detail, despite their questions. They can be thrown off by the change, or become disappointed, as the interpreter has failed to live up to their expectations. Some visitors, by contrast, get frustrated if the interpreter dances around their questions by remaining in first person and just want their question answered. The interpreter has to be adept at reading the situation and determining what the visitors really want: no easy task. 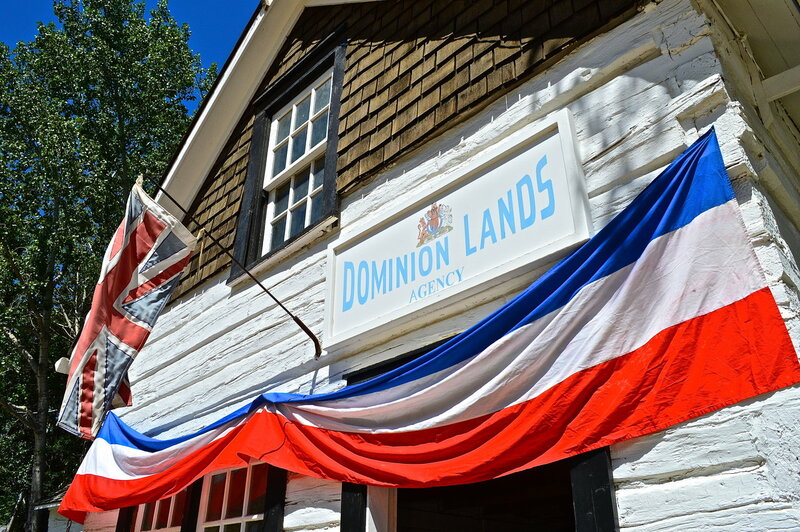 I am aware that some historical sites only teach one of these forms of interpretation, but I feel that we were quite lucky at Fort Edmonton to have the flexibility to react to visitor needs. Some of my interpreter colleagues were only comfortable in third person; others exclusively used first. I would love to know what other historical sites use. I imagine that there must be other ways of thinking about costumed historical interpretation out there, and I welcome any comments about alternate interpretive styles from other veteran interpreters – or dedicated and observant visitors! One of the things that always gathers crowds at living history museums are blacksmiths at work. It’s easy to understand why. Smithing isn’t often practiced these days. My spellcheck doesn’t even recognize it as a word. In this industrial age I’d wager the vast majority of the objects in your house, from the clothes you wear to the computer you’re using to read this blog entry, were created in a distant, far off land so far removed from where these goods ended up that it takes some prompting to remember that these objects were produced by human hands and machines in a process that took time and energy. It’s fascinating to watch something take shape on the anvil under the hammer and in the blacksmith’s fires, to go from raw material to finished product. At Fort Edmonton Park, there are two smithies: one on 1885 street, home to a blacksmith I know for a fact has made it a personal goal to become competent in almost every skill possible before he dies, and in the 1846 fur trading fort, which is used by several more blacksmiths, including this awesome volunteer who often comes to staff parties dressed in costumes that include a minotaur and Robert the Bruce, complete with broadsword. He’s also skilled at leatherworking. Our blacksmiths tend to be a skilled bunch all around. 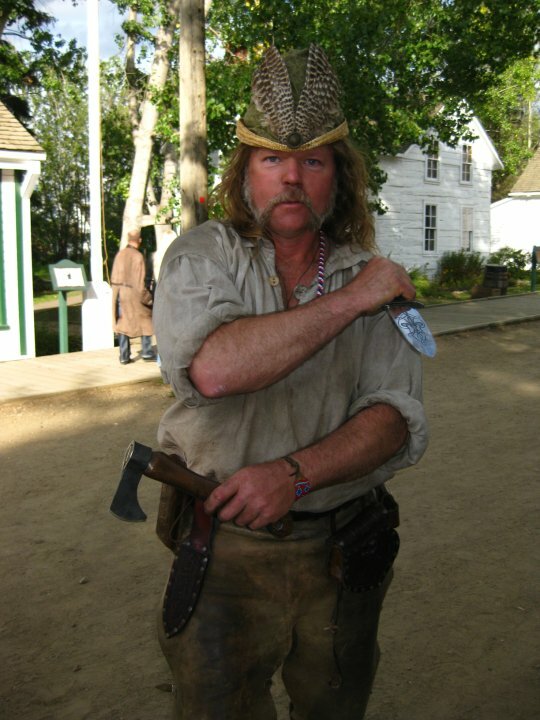 Here is the longtime Fort blacksmith, pictured wearing a lady’s hat from 1885 street wielding a dag he forged himself, because he is an awesome human being. Photo from 2009 by Lauren Markewicz. Now, as I may have mentioned before in my heavy post on “historical authenticity”, at Fort Edmonton and many other living history museums, health and safety always trumps the nebulous concept of “historical accuracy.” The forges at Fort Edmonton remain roped off to visitors at almost all times, whether or not the site is in use – even with no fires lit, it still contains numerous sharp/heavy/dirty implements and many dark corners and tripping hazards. Enter at your own risk. The blacksmiths have special health and safety training as well, and I’m going to burst the historical bubble just slightly here… there are always modern fire extinguishers hidden just within reach inside the blacksmith’s work space. Always. And they’re regularly checked. And everyone in costume aside from the junior volunteers needs to have up to date First Aid certifications. So that nurse I portrayed last year on 1920s street, and the nurse who’s there this year? They can actually help you if you’re in the park with a first aid emergency, and will rely on modern first aid training not historically accurate procedures. Just in case you were wondering. So what am I getting at here with all of this health and safety talk? 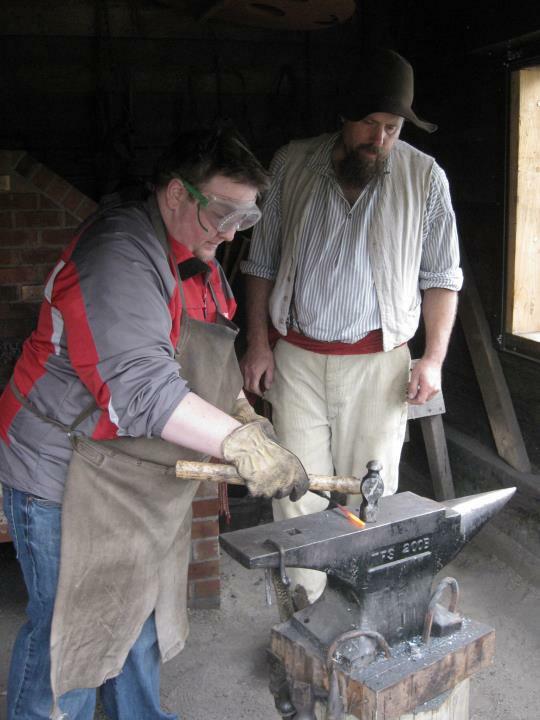 If you wanted to come into the forge and try your hand at blacksmithing at Fort Edmonton? Sorry, no can do. And for good reason. Please be content to watch metal take shape in the skillful hands of the trained blacksmith behind the safety lines. Forging a metal hook at Fort Langley. Interpreter on the right, inexperienced visitor on the left. Note safety precautions and close supervision. Photograph by Lauren Markewicz. You will note that my friend is wearing an apron, heavy gloves, and protective glasses. I wasn’t even allowed inside the building (the photos were taken from an open wall) because I was wearing sandals: closed toed shoes only, a sensible policy which I completely agreed with. My friend made a pretty nifty burnished metal hook (with a decorative twisted stem) in less than fifteen minutes under the close supervision of the blacksmith. And it was awesome. Now, I’m sure that there are tons of insurance factors at work – Fort Langley is also a federal institution, whereas Fort Edmonton is run by the city that bears its name, and their funding and policies come from very different sources. 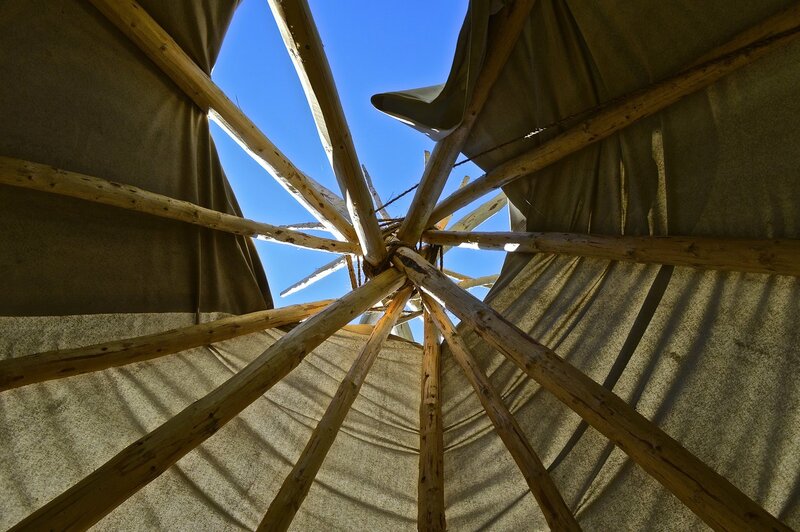 (Some parks take insurance considerations to an extreme, and won’t serve food made in stoves by costumed interpreters to visitors, though thankfully Fort Edmonton continues, as far as I am aware, to happily serve visitors bannock and other dishes made by interpreters.) I’m sure it took a lot of negotiation and paperwork from someone on site at Langley to get such a program up and running, even with safety precautions. 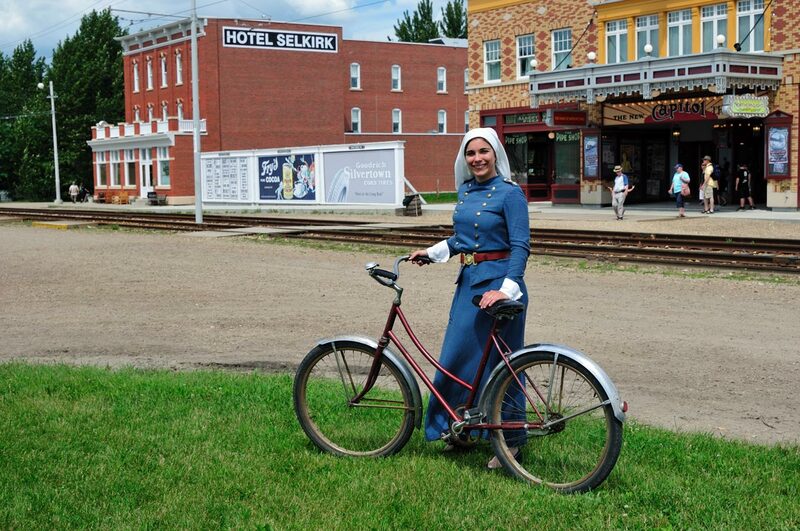 I’m not saying that Fort Edmonton should start putting that kind of visitor inclusion in practice. I’m not sure it would work in that context, considering the larger numbers that Fort Edmonton gets. If there’s one thing I’ve learned from observing and being a visitor, if you see one visitor doing something cool, everyone wants to try it, particularly if it’s free. This is the case with 1920s motorcar or horse rides, climbing on the palisades of the fort, or blacksmithing. 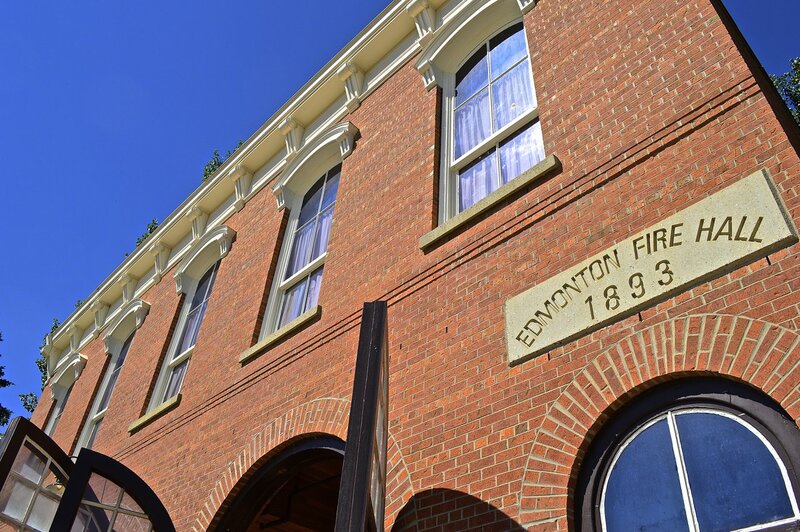 It would be impractical in the Fort Edmonton situation: the blacksmith would do nothing but teach visitors how to smith, and coal and other supplies are expensive. That’s not to mention the insurance paperwork. However, this program worked extremely well at Fort Langley during a slow time of the season where there wasn’t the expectation that everyone would be able to try their hand. The exclusivity of the experience also added to visitor enjoyment: we felt special. We (he) had acquired a new skill and he probably remembers the experience – and the procedure – of blacksmithing far more than I did as an observer and photographer. Testing the strength of the newly-forged hook by hanging one of the heavy metal tongs on it. Success! Photo by Lauren Markewicz. 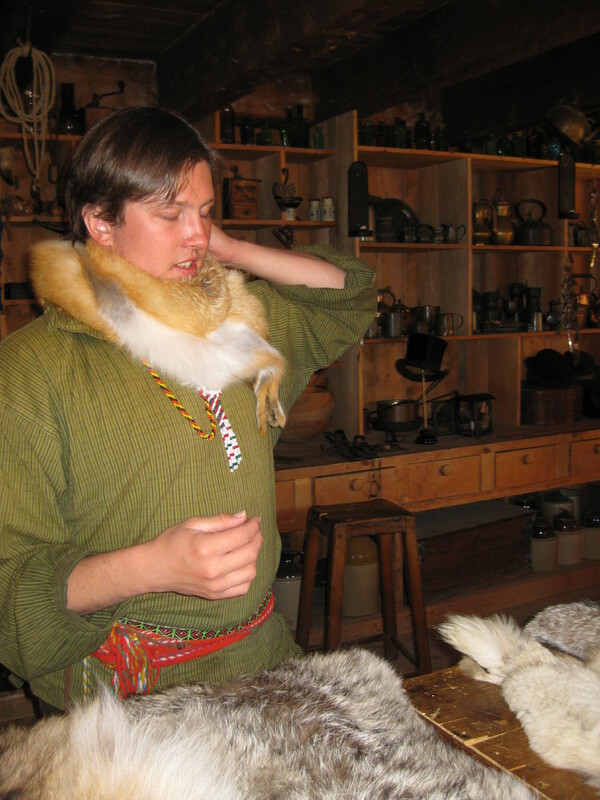 Experiencing living history should not be limited to the interpreters in costume. Actually forging a clothes pin yourself is a very different experience from watching someone else, no matter how skilled, do it. 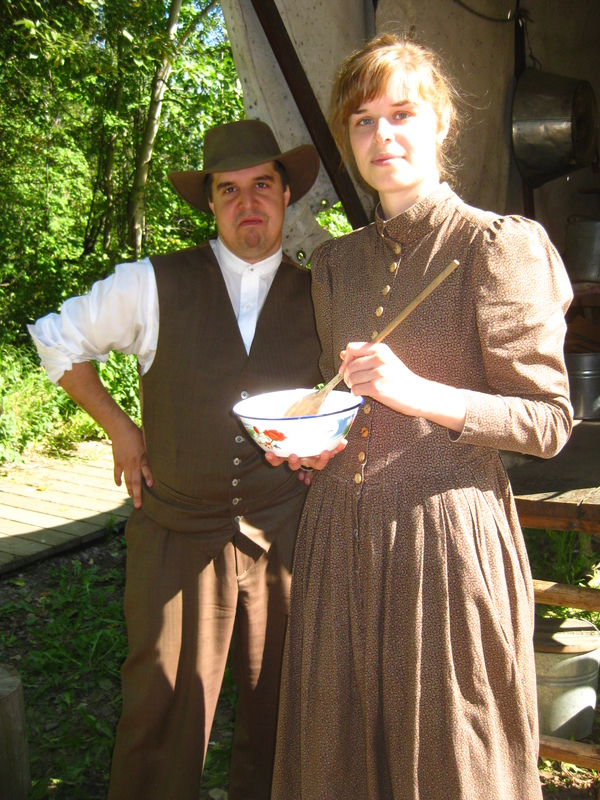 It’s why interpreters at Fort Edmonton are encouraged to involve visitors in any activity they are doing, be it beadwork, knitting, pie baking, or (sometimes) driving an antique car. (Though, sorry, no getting behind the wheel unless the car is off and it’s for photographs… and you have the express permission of a person in costume.) Immersing oneself in history is much more easily done if the visitor is not simply an observer, but an active participant in the proceedings. That’s one of the main advantages of living history over, say, historical documentaries: visitor involvement and immersion in the experience of being in the past. (Or at least an approximation of it.) Being a blacksmith – being capable of the act of smithing something – is extremely cool, and extremely rare in North America in the twenty-first century. 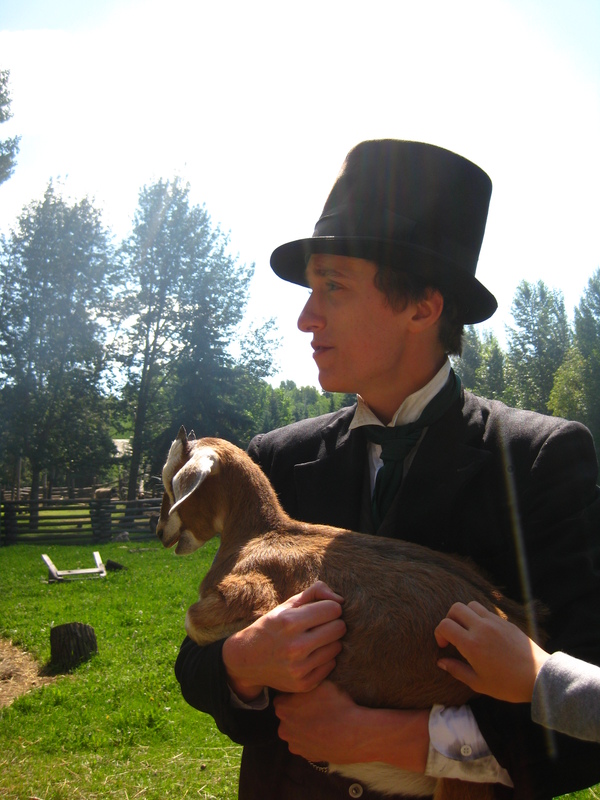 Disclaimer #1: I am no longer an employee at Fort Edmonton Park. I am currently employed at Library and Archives Canada for the summer, mostly working in a cubicle with super cool classified documents that I can’t tell you about without having to kill you after to preserve secrets. (Different kinds of shenanigans are going on behind the scenes at LAC, though, in ways that I can’t talk about yet.) I miss being paid to bake pies, knit socks, drive motorcars from the 1920s and chat with visitors about fun historical facts. Hence, the blog: I miss you guys! But my bigger point is that I am no longer officially affiliated with Fort Edmonton, so anything I say about the inner workings or policies of the park should in no way be taken as an official endorsement of any type of behaviour or park policy or anything at all really. But please enjoy them nonetheless! 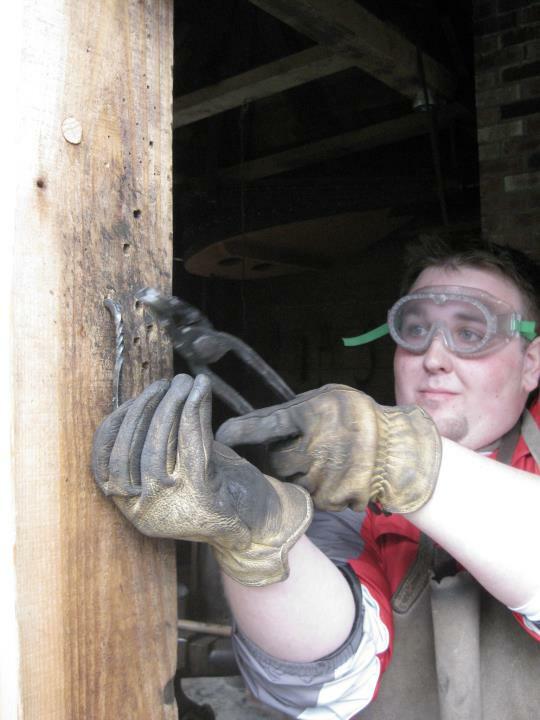 Disclaimer #2: My friend got to try his hand at smithing at Fort Langley several years ago. Please do not travel to Fort Langley expecting/demanding the full blacksmith experience and cite me as the person that promised you this. I have no idea if they still follow this policy or perform this program. But hey, maybe they do! If you’re in the Vancouver area this summer, you should check it out. Just in case you can forge your own metal object. Because it was awesome.